It’s December and you need to buy presents, and fast. To help you in your increasingly frantic search for material happiness, we’ve rounded up some of our favorite apps to help you find the best gifts, save money, and save time. If you’ve waited this long, you’re already pushing it to the limit and risking a Jingle All the Way scenario. That’s why we want to help. Avoid a toy race against Sinbad and earn the love of your friends and family by purchasing them things with the help of these apps. As great as the option of variety is for picking out one of the many gifts for friends and family, it can also be certainly intimidating to the average shopper. 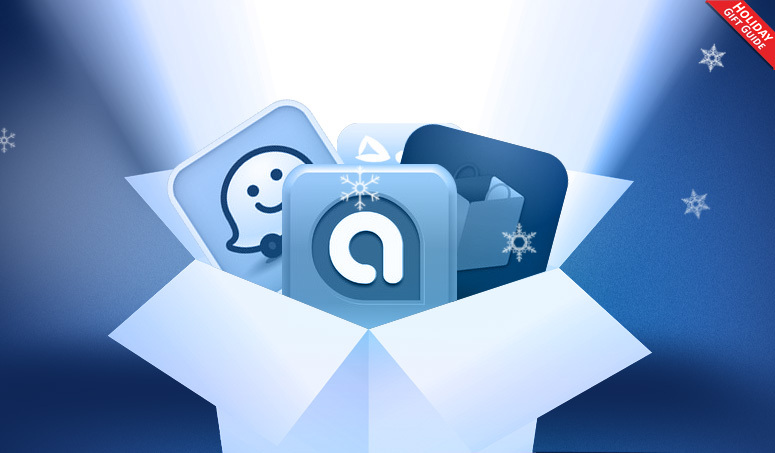 Thankfully, there are a variety of apps available to help you figure out just what to get gift-wise this holiday season for anyone from your parents to your co-workers, friends, and everyone in between. Let’s face it, if you’re not using the largest online retailer to look for deals and gift ideas, then you’re just not using your holiday shopping time wisely. Amazon’s mobile app for Android, iOS, and Windows Phone not only lets you browse the online catalog for anything from A to Z but also gives you easy access to their daily deals and lightning deals anytime you want from now until the end of the year. With the Amazon App you can not only brainstorm for gift ideas but also save some cash. If you’re looking for smart gift suggestions and have no idea where to begin, then here are two apps for Android and iOS that can both be a blessing for buyer’s block. Gift Wizard for Android offers up an intelligent gift engine, helping you really figure out with some serious thinking what would be the right gift for anyone from your boss to your best friend. 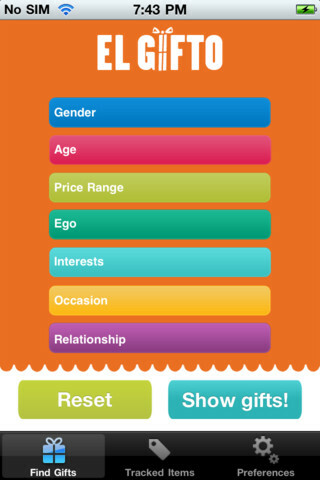 El Gifto, for Android and iOS, suggests gifts based on your relationship to the individual, their age, and their lifestyle. Both are great when figuring out which gift to get someone this holiday season. If you’re looking for great app suggestion for your friend or family member who just bought that iPad Mini or iPhone 5, then you can’t go wrong with the Appadvice app, which has been helping people discover new and nifty applications for years. if you’re considering an iTunes gift card as a gift, be sure to suggest some great apps along with it. Be sure to check out our holiday gift guides through the coming holiday season for more ideas. In case you missed the memo, this year is an especially important one for shopping, as major retailers such as ToysRUs, Best Buy, and Target are all upping the ante and matching prices with select online retailers for certain periods of time, and that means making sure you know what things are going for online. While picking out your favorite doorbusters though, it’s important to know that there are some great apps you can use to find great deals while at the store, figure out what your favorites are worth, or perhaps even find a better deal. The Google Shopper app may be your greatest asset in your shopping adventures this holiday season. The app, available for both iOS and Android devices, lets you use your phone’s camera as essentially an image and barcode scanner, allowing you to match up products in the store with their counterparts in online shoppingverse. 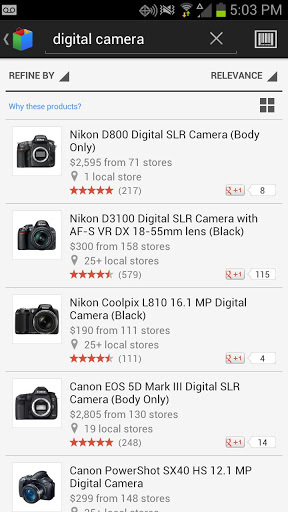 Along with price comparisons, you can also find similar products, or nearby retailers with lower prices. Dealnews has been around for nearly 15 years, helping internet users find the greatest deals on the items they love. This year Dealnews is offering up its app, which brings the power of its already resourceful website in your hands, tied together with a focus on all the big holiday retailers. With this app you can stay up to date on the latest sales and ads for the rest of the coming holiday season. This ad is a must have if you’re going to keep up with all crazy deals that are announced from now until the end of the year. If there’s anything more valuable than saving cash and making your family and friends happy this holiday season, it’s all that extra time you want to have resting and relaxing during your valuable vacation. Thankfully, even while you run about grabbing all the gifts, there are a couple apps you can use to stay organized, avoid traffic, and save time. Staying organized will keep your mind on point and your wits sharp through the holiday season, so be sure to take advantage of a powerful shopping list that stays with you wherever you are. 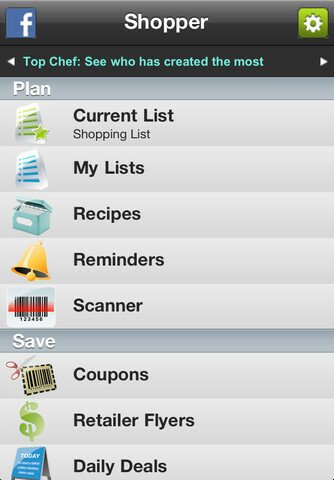 It’s time to abandon the pen and paper and pick up Shopper, a free app for Android and iOS that lets you virtually write down and organize all the essential things to buy this holiday season. The app even lets make in depth organization, as well as track important contact information for your favorite shops. If you’ve never used Waze before, now’s the time to get it. While Google and Apple war with one another over which can provide the best maps experience, Waze offers up an entirely new flavor: The Social GPS. Waze essentially has its own network of users contributing important information such as traffic updates, red light cameras, and speed traps, giving you a better idea of what’s going on with greatest variable while driving – everyone else. The app even lets you collect points for fun custom content, and will save you time and frustration while running around for your holiday shopping. In the end, these are just a few of the apps out that you can add to your mobile arsenal to save time, money, and more this holiday season. Be sure to stay tuned to Digital Trends throughout the holiday season for even more tips, tricks, and guides, and feel free to share with us your favorite holiday shopping apps in the comments below.